Bud Welch was indirectly one of the victims of the bomb that destroyed the Alfred P. Murrah building in Oklahoma City in April, 1995. His 23-year-old daughter died in the explosion and Bud struggled for years to overcome his grief—first through rage, then through an addiction to alcohol and finally through forgiveness. He recalls an incident that took place shortly after the bombing—one that he suppressed for many years. He had seen Bill McVeigh, father of convicted bomber Timothy McVeigh on TV. As a father, Bud understood the pain that Bill McVeigh was experiencing. Fortunately, very few parents will experience the kind of pain—the kind of shame—that Tim McVeigh’s lives with every day. Maybe Bill McVeigh was asking himself: Where did I go wrong? Where did I fail? 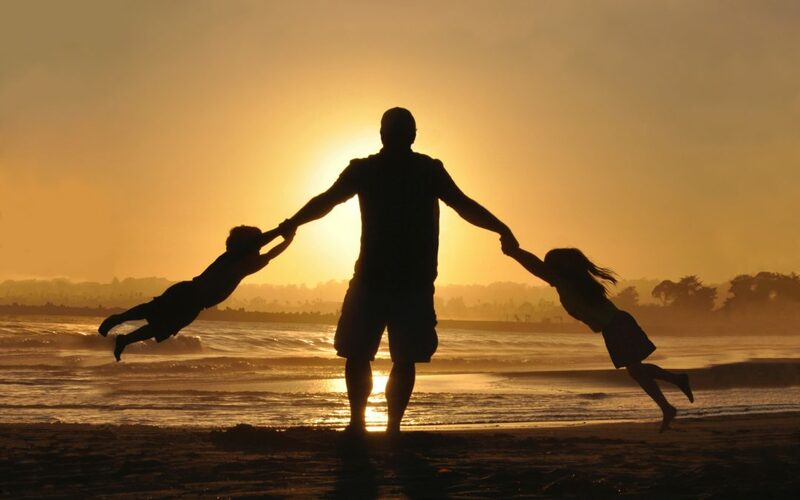 Whether they believe the Bible or not, most people understand the principle that Solomon taught—that parents are largely responsible for the way their children turn out. If their kids succeed, they’re proud. If their kids fail or become rebellious they blame themselves or society. There’s truth in that statement. We are responsible for shaping the character of our children, helping them develop habits and traits that will empower them as they go through life. In many ways, the faults of our children reflect our failures as parents. Does that mean, that if you’re a good parent, your son or daughter will never do anything wrong? Never commit a sin? Never become rebellious? Jesus told a story of a father who had a rebellious son. He was a good father, yet his son made some awful mistakes. The father in this story is an example of our heavenly father. God is a perfect father, but sometimes we, his children, disobey him. The story in the gospel of Luke shows how our heavenly father responds when we sin and it illuminates how parents should respond to their children’s rebellious, sinful actions and attitudes. Your child may never do what the Prodigal Son did or they may do something much worse. Either way, the principles taught in this story will help you to prepare in case it happens and how to respond if it does. Most parents will never have to deal with a child as blatantly rebellious as the Prodigal Son. Your child’s disobedience may be subtle but as a Godly parent you have to deal with it nonetheless. For example, if your son or daughter has a defiant attitude you may be tempted at first to crack the whip and bear down a little harder. Rarely is that the best solution. The best way to handle disobedience is to deal with your children the way your heavenly father deals with you. But how do you do that? That’s literally the million-dollar question. How do you treat your children like your heavenly father treats you? Following these simple principles can help your children find their way back home, just as the prodigal did. Build a Foundation for your Children. Psychologists say one of the primary characteristics of children in dysfunctional families is that they have to guess at describing “healthy.” Home life for children in dysfunctional homes is very erratic and unpredictable and so they assume that what they observe is “healthy” family behavior. As they get older, they begin to realize that every family isn’t like theirs: there are some parents who don’t scream at each other 24 hours a day. Families don’t always end every conversation with a slam of the door. There are parents who don’t work 60 plus hours a week and spend no time with their children. There are families that don’t get their electricity cut off every month and on and on the comparisons go. The problem for these children is they lack a solid foundation. They don’t know what healthy is, because their parents didn’t provide them with a normal home. They spend their lives guessing at what healthy is, and as they get older, they become more and more likely to drift. Struggling with what is “normal” as perceived by society but still dealing with the aftermath of a troubled home life. Here, is where parents can make a significant contribution to the lives of their children. Build a foundation upon which your children can stand the rest of their lives. You must make sure they have “senses” to come back to, like our father in the story of the Prodigal Son. What kind of foundation do children need? First, they need to know that they are loved. Dennis Byrd was a defensive back for the New York Jets and was paralyzed from the neck down in a tragic football accident. One of the most surprising things about his autobiography, Rise and Walk, was the way he and his teammates often ended conversations with one another by saying, “I love you.” If professional football players can say “I Love You” to each other can’t parents and families say “I Love You” to their kids? A simple phrase, but such powerful life-changing words. “I Love You,” so small, so powerful, but so critical to the foundation of a child. They also need to know that they are not alone. When they have a problem at school, on the sporting arena or on the job as they grow older kids need to know that they don’t have to face life by themselves. Find some balance. You don’t and can’t solve all their problems for them. By stepping along-side them, they learn they are NOT alone. Children need to know and learn the difference between right and wrong. When I was in grade school, a friend of mine’s bicycle was stolen while he was visiting my house. He left the bike in the front yard and someone came along and stole it. He was able to get a new bike for free because his father told the insurance company the bike was stolen from their garage at home. In my home, there’s no way my dad would ever lie to the insurance company just to get me a new bike. In fact, he would have told me to “start saving for a new bike.” Fondly remembering my father, I’m sure the word, “knucklehead” would have worked its way into the conversation. In a loving yet constructive manner. Each of us needs to give children a foundation upon which they can build their lives. That’s what the Prodigal Son had and it helped him find his way out of the mess that he had created for himself. He was able to ”come to his senses” because he had grown up in an environment that taught him some sense in the first place. He knew what normal was, and he knew that there was a better way of living than the way he was living at that time. At some point in their lives our children may insist on going their own way, and they may make a number of foolish mistakes. I hope it never happens but if it does keep this in mind, the foundation you built for them will help them eventually come to their senses. Secondly, parents must Give them an Example of Fairness. The Prodigal Son realized that his father was a fair man and that he would be far better off being his father’s hired hand than his rebellious son. The Prodigal Son made his decision to go home based on what he knew about his father, that he was a man of honor, a man of character. He knew his father would treat him at <strong><u>LEAST</u></strong>as fairly as he treated his hired hands. Kids notice the way parents treat others. If you’re fair, they see it. If you’re unfair, they see it. Whether you want to admit it or not it affects the way they will relate to you. The son also knew his dad wasn’t a pushover. It never crossed his mind to say, “Maybe I can go back home and talk Dad out of more money.” He knew he couldn’t manipulate his dad and so he didn’t even try. He knew his dad would treat him fairly because his dad was a man of character. I once had a job in which I was in a supervisory position. One of the workers I supervised was my bosses’ son. If he wanted to take the day off, he wouldn’t call me because he knew I would say “No.” So, he would call his dad because he knew his dad couldn’t say “No” to him. His dad was a pushover, and he knew he could manipulate him. A parent who allows themselves to be talked into or manipulated into something by their children is doing tremendous damage to the emotional well being of the child. For example, you go to the store and your child sees a toy that they want you to buy, and you start by saying “No”. Then the child begs and pleads and whines and maybe throws a melt-down, crying, breath holding, screaming, temper tantrum until you finally give in. You’re teaching your child lessons that will haunt both of you for years to come. You’re teaching that “No” doesn’t really mean “No” and you’re teaching that your child is stronger than you are. The child may be temporarily happy to get the toy but the long-term effect is that he or she will feel a little less secure and they will be more likely to try to manipulate their way out of situations in the future instead of coming clean and doing the right thing. The father in this story gave his son an example of fairness. It was an example that the son could cling to even in his darkest moments. If you want to be an effective parent you must parent your children the way your heavenly father parents you by exemplifying fairness. He’s not a bully but neither is he a pushover. He’s fair. Be firm where you need to be firm but be fair as well. When the Prodigal Son came to his senses and decided to return home, his father saw him approaching from a distance. The father then did something that was at that time culturally surprising. Normally, a father would wait to be addressed by the son and receive some form of respect before responding. But, this father didn’t wait. Our story tells us…he ran to his son, threw his arms around him and kissed him. What do you do, when your children repent? Do you fold your arms and say, “You’re going to have to prove you mean business before I believe you!”? Do you remind them again and again of the mistakes they’ve made? Or do you allow them to be forgiven for the past? We had a rule at our house and it’s one we still keep with our grownup children and grandchildren. We don’t remind each another of our past mistakes. Once it was done it was forgotten. Your children will make mistakes throughout their lives. If you have given them a solid foundation they will eventually come to their senses and repent. Don’t make your children wait for your forgiveness. Treat them the same way your heavenly father treats you: forgive them immediately… and totally. Some parents may say, “But I don’t want to be taken advantage of again and again and again.” You don’t know my situation? Remember, if you have shown your children an example of fairness they won’t try it. When they come to their senses be quick to forgive—like the Prodigal Son’s father like our heavenly father. If you want to be an effective parent, you have to spell out your love for your children. Of course, you say it with your words but you say it much louder with your actions. Build a foundation for your children, a foundation of love, security and morality. A foundation upon which they can build their lives. A foundation they can come back to if they ever wander away. Give your children an example of fairness. Be a person of character. Be quick to forgive your children when they fail because they will most certainly fail and when they do, may they know forgiveness is available. That is how a parent expresses extravagant love to their children. You can’t do it in a day but you start with a day, because it truly takes a lifetime to show and give extravagant love. It takes a commitment unlike any other you have ever subjected yourself too, one, in which you treat your children the same way your heavenly father treats you. And that’s a parent’s love.